On June 29th the media of San Francisco, Seattle and DC will be having a media blitz with all day coverage on the issue of homelessness. This effort was started in San Francisco, where media organization in have agreed to put aside their differences for the day is focus on the issues of homeless–discussing root causes and collaboration to find long-term solutions. This movement is being lead by the San Francisco Chronicle, but more than 70 media organizations have agreed to participate, including radio and TV stations and online publication. Seattle and DC media organizations have expanded this effort by planning a media blitzs in their cities on the same day as well. Advocacy groups, public officials and individuals are encouraged to participate and flood all types of media sources with information about and discussion of the issue of homeless in America. We invite you to take this opportunity to reach nearly 15% of the voting public. On Wednesday, February 17th from 7:00 pm eastern time through 9:00 am on Thursday, February 18th, we hope that you will participate in the 18th annual Homeless Marathon (news.homelessnessmarathon.org/). There are anywhere between 500,000 and 3.5 million people who will experience homelessness in the United States this year. Not to mention the almost 50 million Americans who are struggling to make ends meet, and countless more who are just one paycheck away from losing their homes! The Homeless Marathon gives you a chance to reach thousands of these homeless and low-income voters who are looking for solutions at the Federal level. The Marathon will be broadcast on almost 100 radio stations in 40 states, online and abroad. You are also welcome to join a rally in Lafayette Park, in front of you potential future home, the White House, on Thursday, February 18th at 8am. The producers of the Homeless Marathon will be holding a straw poll throughout the broadcast, and will be announcing the (unofficial) president that homeless and low-income voters across the country have chosen. The Homeless Marathon is America’s only national broadcast focusing on homelessness and poverty. Please take the time to participate in this once in a life time opportunity to share your policy objects with the nation on homelessness and poverty. Your message will be shared all around the country to the most vulnerable population, people experiencing homelessness. As you know, every vote counts and your message and policies can save thousands possibly millions of lives. For more information please visit: news.homelessnessmarathon.org or www.nationalhomeless.org. Thank you for your attention to the needs of all Americans! When did we start expecting that sharing a meal with the hungry and homeless is illegal? 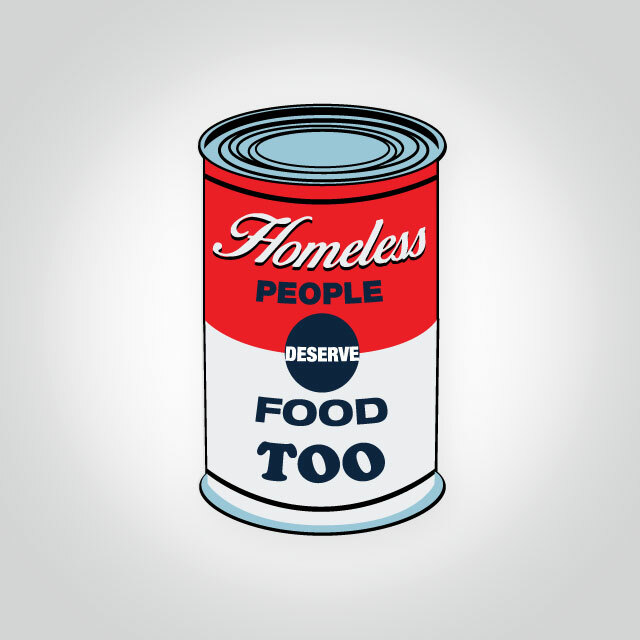 NCH often receives calls from generous individuals and organizations who wish to feed the homeless in their city. They call with reasonable questions, aware of the potential illegality of helping others, to ask about food distribution bans or restrictions in their area. 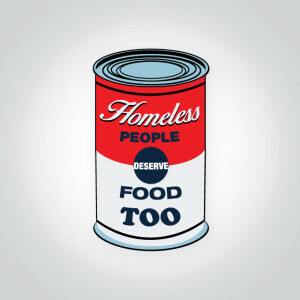 Within the last two years (2013-2015) over 26 cities and communities have passed laws restricting the distribution of food to the homeless, and the number is growing every year. Those kind enough to want to feed the hungry must jump through hoops and navigate red tape simply to share food with others. Food-sharing restrictions do not address the root causes of homelessness and poverty in the United States. Instead, they create barriers for those trying to help. And yet, over time, these restrictions on food sharing have become the norm. The idea that sharing meals with others should be regulated by the law is no longer a surprise to most people, in fact, it is expected. Our societal entrenchment in rules and regulations slows our ability to express kindness and generosity for others. In order to address poverty, hunger, and homelessness, we must find a way to break free of this attitudinal obstacle and take thoughtful action, free of restraint. Take a look at our October, 2014 report “Share No More: The Criminalization of Efforts to Feed People in Need” for more details on the state of bans in the country.